2.The dimensions of a rectangular metal sheet are 4m x 3m. The sheet is to be cut into square sheets each of side 4cm. Find the number of squares. 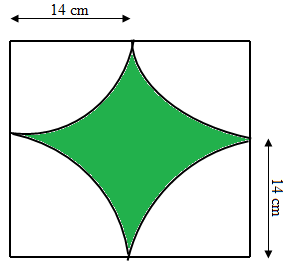 3.Find the area of the shaded portion. 5.Out of 45 houses in a village 25 houses have Television and 30 houses have radio.Find how many of them have both. 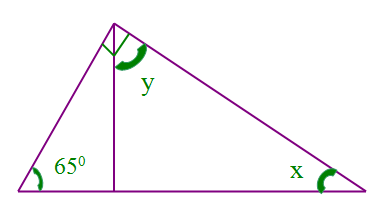 6.In a circle with center 0 and radius 17 cm. PQ is a chord at a distance of 8cm from the center of the circle.Calculate the length of the chord. 9.The ages of Atul and Anil are in the ratio 5:7.If Atul was 9 years older and Anil 9 years younger,the age of Atul would have been twice the age of Anil. Find their present ages. 10.The sum of the digits of a two digit number is 10. If the number formed by reversing the digits is less than the original number by 36, find the required number.